Trevor Kaddatz has been in the carpet cleaning industry for 20 years and commenced trading as BIG TREV’S CARPET CLEANING in 2006. At BIG TREV’S CARPET CLEANING we pride ourselves on our reputation and believe our company’s large residential and commercial client base is credited to Trevor’s day to day running of the business, his expertise of over 20 years carpet cleaning and water restoration experience and our technicians’ professional manner and high standard of operation. 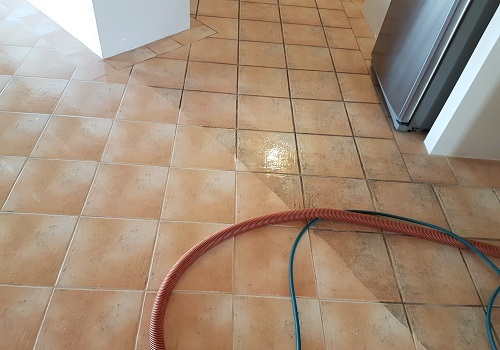 BIG TREV’S CARPET CLEANING is Perth’s preferred choice for Carpet Steam Cleaning and has developed a strong reputation amongst the Perth community for providing high-quality carpet steam cleaning services at competitive prices – with no job being too big or too small. BIG TREV’S CARPET CLEANING cleans carpets by “External Extraction”. 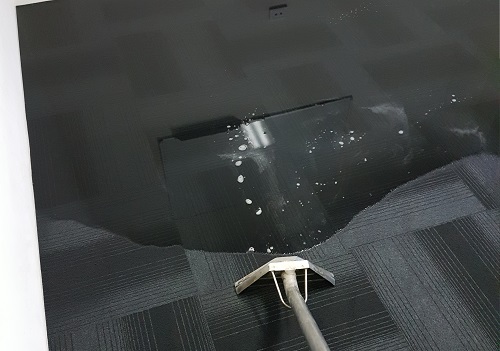 This method is often called “Warm Water Extraction”, “Hot Water Extraction” or “Steam Cleaning” and is the carpet cleaning method nearly all carpet manufacturers recommend. This is the only carpet cleaning method classified as “deep cleaning”. All other carpet cleaning methods are considered “light surface cleaning” because they are incapable of removing soil deep in the pile. Also, all other methods leave cleaning agent in the carpet after cleaning. BIG TREV’S CARPET CLEANING will be able to assist you with all your carpet cleaning service requirements, so if you require information, just want some advice, or are interested in using our services we’d love to hear from you. 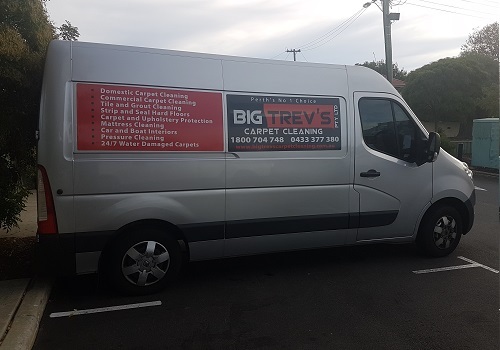 If you are looking for a reliable, experienced and customer focused Carpet Cleaning Company in Perth to assist you, speak to one of our friendly staff members at BIG TREV’S CARPET CLEANING today by contacting us on 1800 704 748 or 0433 377 370 . WHY BIG TREV’S CARPET CLEANING?